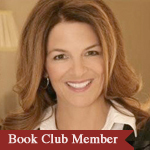 "This book will help you flourish." What do you want most for your children and loved ones… and for yourself? Give me a one-word answer. Did you say happiness? If you are like the thousands of people Martin Seligman polled, you would say “happiness,” “confidence,” “contentment,” “fulfillment,” “balance,” “good stuff,” “kindness,” “health,” “love,” “being civilized,” or “meaning.” In short, well-being is your top desire. Now quick, what do schools teach? In short, none of the above! Schools teach us how to succeed in the adult workplace. And once in the adult workplace, we learn more skills related to work and none related to flourishing! 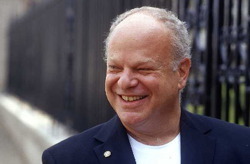 The good news is that in his fascinating book, Flourish, Martin Seligman gives away keys to well-being and teaches us how to flourish. Those of us who are curious enough to look for answers can find them here – all for the price of a paperback and a few hours of your time! What could be more worthwhile? "The people who work in positive psychology are the people with the highest well-being I have ever known." When I studied psychology in my undergraduate years, the focus was on pathologies; pulling people out of the water instead of preventing them from falling in. In contrast, the goal of the new positive psychology in well-being theory is to measure and to build human flourishing. Seligman admits that when he started out as a therapist over forty years ago, when patients would say “I just want to be happy,” he translated that into “You mean you want to get rid of your depression.” Once he got rid of their depression he simply didn’t have the tools to teach them how to be happy. He realized that patients needed to learn the specific skills of positive psychology: how to have more positive emotion, more engagement, more meaning, more accomplishment and better human relations. So he created solutions. He assures us that we can now learn how to increase our well-being. In fact, Seligman believes that by the year 2051, 51 percent of the world’s population will be flourishing. What a lovely thought – imagine what life will be like in the future when more than half of us are flourishing! "So the goal of positive psychology in well-being theory is to measure and to build human flourishing. Achieving this starts by asking what really makes us happy." Positive emotions – I am generally positive. Engagement, interest – I love learning new things. Meaning, purpose – I generally feel that what I do is valuable and worthwhile. Self-esteem – In general, I feel very positive about myself. Optimism – I am generally optimistic about my future. Resilience – When things go wrong, it doesn’t take me long to get back to normal. Vitality – I am generally strong and active. Self-determination – I have inherent self-growth tendencies. Positive relationships – There are people in my life who really care about me. Here’s just one exercise to start you on the right path to achieving positive emotions. This “what-went-well” exercise gets remarkable test results. Seligman says that in his work in psychotherapy and use of drugs in depression he has never seen results like the ones produced from this simple exercise. On average, participants’ depression scores plummeted from 34 to 17 while happiness scores jumped from the 15th to the 50th percentile. Forty-seven of the fifty participants were less depressed and happier as a result of this exercise. And you can do it starting tonight. Just write down three things that went well today. And do that each night for the next week. That’s it. So simple. Why not give it a try? I did it with my family around the dinner table last night. We each wrote down three things that went well and put them in a hat. We had fun passing the hat and reading the items, guessing who wrote each one. The energy was high and they want to do it again tonight! A quick application of this exercise to the workplace? Start your next meeting with each person sharing what went well since the previous meeting. Take it one step further to raise your well-being with this next exercise. Think of someone (still alive who you could actually meet with face to face) who years ago did something or said something that changed your life for the better. Now, write a letter of gratitude to this person (about 300 words). Be specific about what the person did for you and how it impacted your life. Share what you are doing now and how you often think of him/her and what he/she did for you. Now….for the fun part. Visit that person and read the letter out loud. If you do this, Seligman claims you will be happier and less depressed one month from now. "Their meta-analysis finds that over all seventy studies, psychological well-being protects." “You’re such a glass half-full type of person,” my friend teased me. And on my best days I am. I work at it. Why? You might question if it’s worth it to put the effort forward to consciously think and act positively? Let’s look to the research Seligman presents. Optimism is robustly associated with cardiovascular health and pessimism with cardiovascular risk. Positive mood is associated with protection from colds and flu, while negative moods are associated with greater risk for colds and flu. Highly optimistic people may have a lower risk for developing cancer. Healthy people who have good psychological well-being are at less risk for death from all causes. So my effort to be ‘half-full’ is good for me! And it’s good for those around me. He concludes that a positive attitude is even more contagious than a negative one! And it contributes not just to my health but my performance. The foundational message in this book is that optimal performance is tied to good well-being; the higher the positive morale, the better the performance. So don’t just work on your well-being to feel great – do it to BE great. A good start would be to assess where you are. I did the free test at www.authentichappiness.org. Then choose to be the person building and spreading well-being. It’s a conscious choice and effort but well worth it – for everyone!